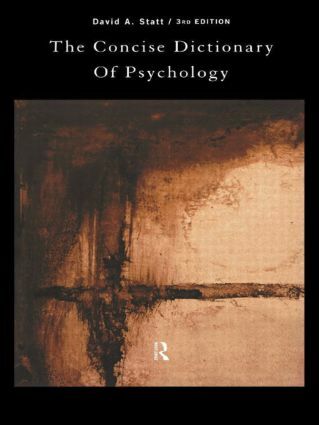 From atavistic to folie a deux, from engram to Weltschmerz and Seashore test, this edition of The Concise Dictionary of Psychology contains more than 1,300 references to words, phrases and eminent pioneers in psychology. Updated to take account of recent developments, each definition is clear, instructive and concise. A lean and efficient source of information, written in a straightforward and readable manner, this book will be an indispensable reference tool for students of psychology, for professionals and for people in the health and caring professions.